~Grab your parka and compass and get ready for adventure! 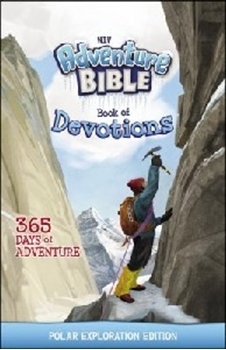 The all-new, illustrated NIV Adventure Bible Book of Devotions: Polar Exploration Edition takes kids on a thrilling, enriching quest. This 365-day devotional is filled with exciting daily devotions and includes topical and Scripture indexes. Devotional topics include self-esteem, courage, friendship, and many more! Boys and girls will learn more about God and the Bible and be inspired to live a life of faith-the greatest adventure of all. Companion to the NIV Adventure Bible, Polar Exploration Edition. This devotional features a full-colour interior.